Saks Fifth Avenue was the brainchild of Horace Saks and Bernard Gimbel, who operated independent retail stores on New York's 34th Street at Herald Square in the early 1900s. 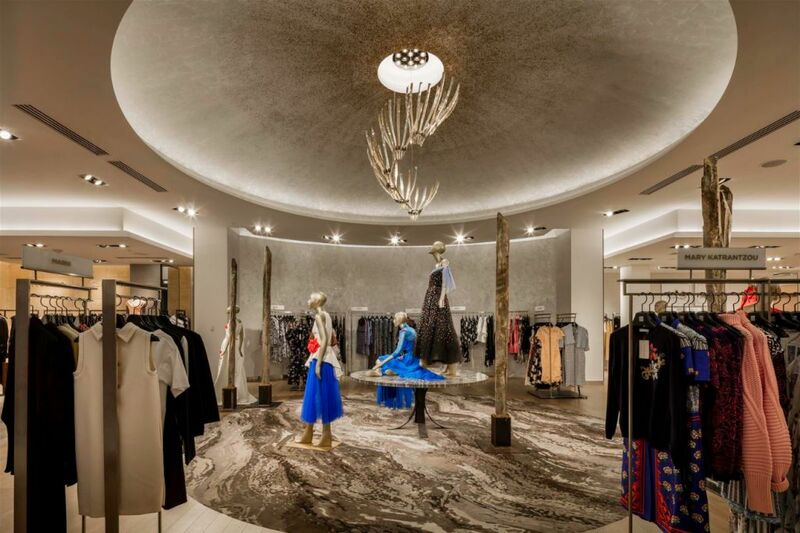 Their dream was to construct a unique specialty store that would become synonymous with fashionable, graceful living. 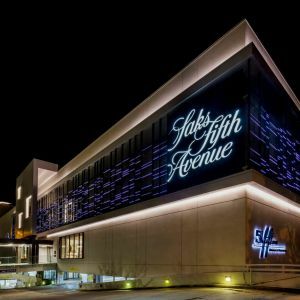 With the opening on September 15, 1924, Saks Fifth Avenue became the first large retail operation to locate in what was then primarily a residential district. 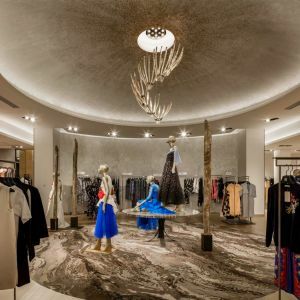 By offering the finest quality men's and women's fashions, as well as an extraordinary program of customer services, Saks Fifth Avenue has become a byword for taste and elegance. 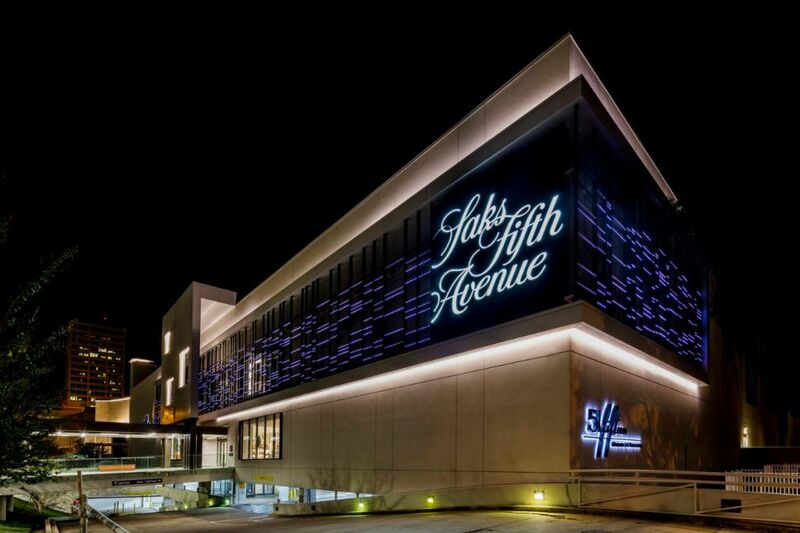 Saks Fifth Avenue today, is renowned for its superlative selling services and merchandise offerings. The best of European and American designers for men and women are sold throughout its 39 stores, servicing customers in 22 states. 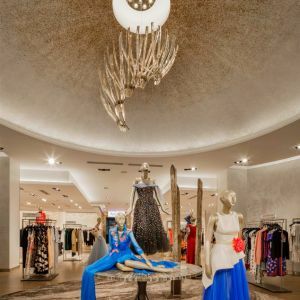 Preciosa is a proud partner to Saks Fifth Avenue. 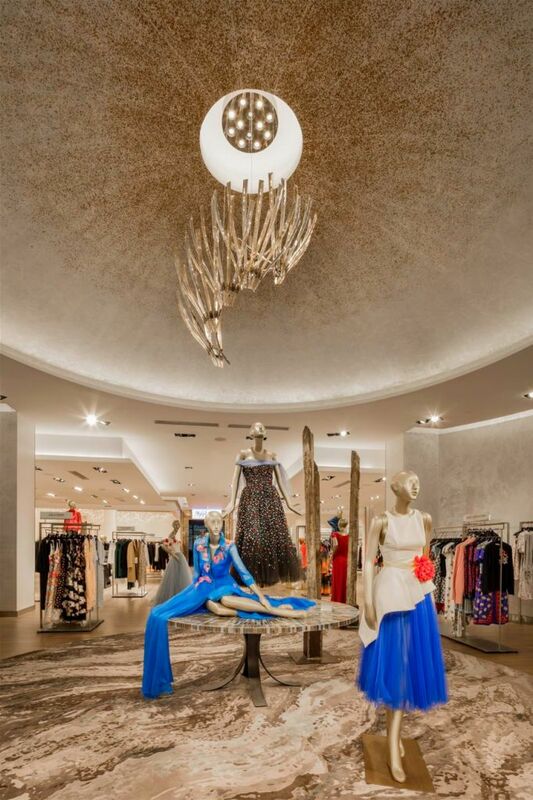 We designed a lighting installation called Alaris for the Rotunda on the Main Floor in Saks Fifth Avenue Houston. Wings spreading for flight were the initial inspiration for this piece, designed by Jaroslav Bejvl Jr – they symbolize unlimited freedom. 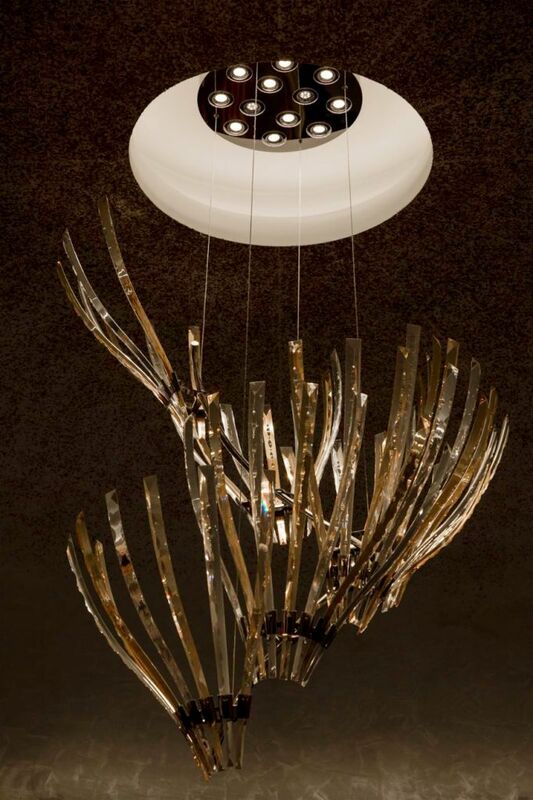 At 1,7 m high and 1,35 m in diameter, Alaris is composed of seven clusters of prisms, with each prism 72 cm high and finished in a yellow-gold luster. The cut edges of the clear slumped glass prisms accentuate the optical properties of the fine crystal. 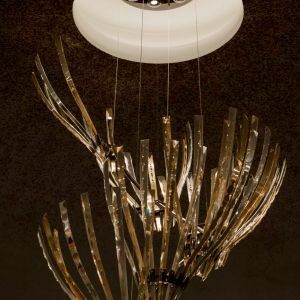 Overall, Alaris presents fineness and fragility, accompanied by a strong internal energy.